In my school year book one of the things I was most remembered for was black eyeliner - I still wear it all the time. How then have I lived for so long without Avon's Supershock Gel Liner? Not only is this a fantastically easy to use waterproof pencil but it goes straight onto the waterline and stays there. OK so it probably won't last all day, but it will last a very long time, much longer than any other liner I've tried (and that's a lot). It gives you a properly black waterline, top and bottom, and it's easy to apply. As with all Avon products this is incredibly reasonably priced, usually £6 it is £2.99 at the moment and it's now available in five new colours - Khaki Shimmer, Silver, Flash, Steel and this seasons must have blue, Aqua Pop. Most days on my top lid I like to use a kohl so a softer, smudgier look. This is not the product for that although if you are quick you can smudge and wing it a bit, but what is particularly great about his product is that often with kohl's they can rub off from the inner corner - a little bit of Supershock over the top will last the whole day. I cannot tell you how fantastic this product is - I'm going to do a vlog on it soon - the only thing I will say is that looking at the reviews online it seems this may not be ideal on the waterline for contact lens wearers. I can't confirm this - may have to try it out on my contacts-wearing husband at some point. 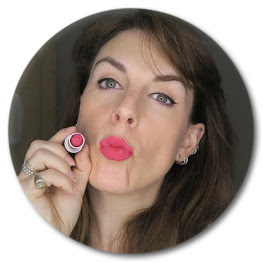 In fact I loved it so much I bought four for my kit - black, flash (a sort of shimmery pink which would also be great on the waterline to make eyes look bigger), khaki and Aqua Pop. I love them all - just fantastic eyeliners.